We are offering wide range of Instant Filter Coffee Vending Machines to our clients that is acknowledged for long service life, superlative functionality and corrosion to resistance. Meticulously tested under the guidance of our experienced professionals, these coffee vending machines are highly acknowledged by our customers. Instant Fresh Milk Coffee Vending Machines are highly praised for their latest technology on which they operate and easy installation.Fresh Milk Coffee Vending Machines are widely used in restaurants, canteens and several other offices and retail outlets. 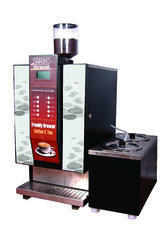 We offer customized coffee vending machines at market leading price to our client’s. Instant Filter Coffee Vending Machines for Small Offices, these small Instant Machines are available in wide ranges with us. The coffee vending machine is fully made out of SS 304 grade the 8 litres capacity SS Boiler is in built, all the fuctions are automated even the water is filled automatically. Filter bean coffee vending machine gives you nine option beverages such as tea, coffee, milk, cappuccino, strong coffee, black coffee, black tea, light coffee & light tea. 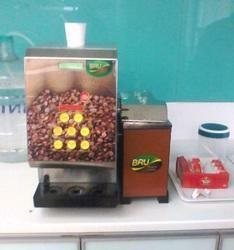 Looking for “Instant Coffee Vending Machines”?